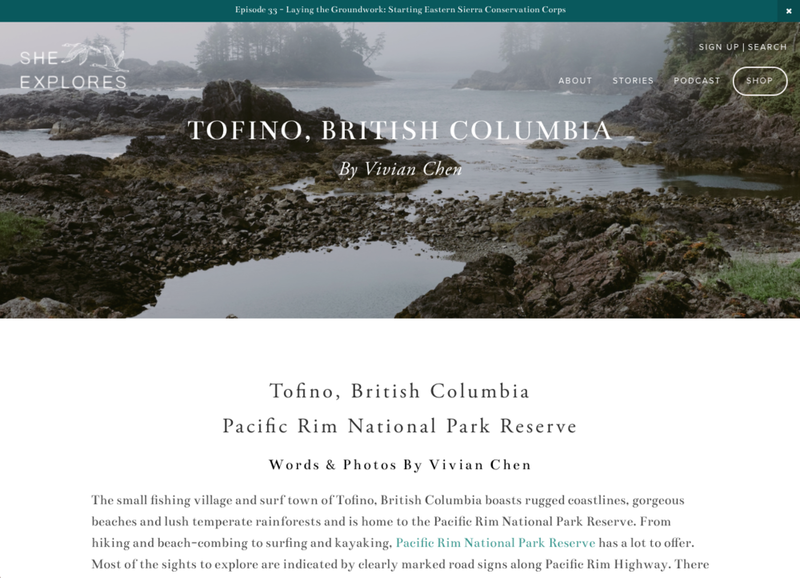 I'm excited to have the She Explores community shared some of my Tofino hikes on their Landmarks section of the website this week. Check it out! Thank you for the feature, She Explores!